Raspberry Pi, ircDDB Gateway, DVAP Dongle & 3G internet connection. The club is running a portable Dstar node on our stand at Norbreck. Unlike the DVAPTools sofware, you have to tell your transceiver that it is talking to a simplex gateway. 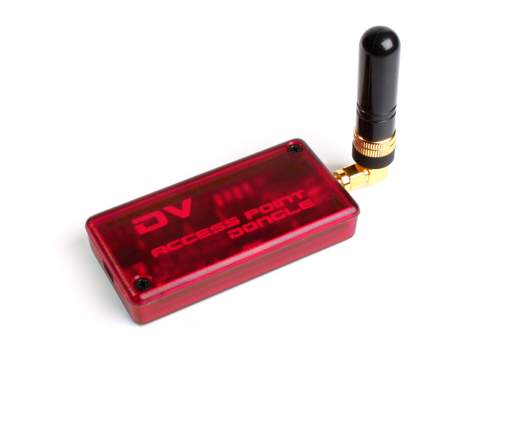 Using a DVAP to code and decode Dstar information transmitting to and from any Dstar radio repeating via WiFi UTP Network or GSM to the Dstar Network . The system will act as a portable repeater giving access to Dstar, IRCDDB and the various Reflectors be it Dstar Xreflectors or DCS reflectors. Also interfacing with the Dprs positioning network showing on systems as aprs.fi as a Dstar Repeater. Software written and maintained by Jonathan Naylor G4KLX via Yahoo groups web sites. https://groups.yahoo.com/neo/groups/ircddbgateway/infoThis group is to support the G4KLX ircDDB Gateway package. This program when used with either an Icom ID-RP2C based repeater stack or one or more homebrew repeaters (sound card, dummy, GMSK modem, DV-RPTR modem, and DVAP) available from thepcrepeatercontroller Yahoo! group, allows them to connect to the ircDDB system. This in turns allows users of those repeaters to connect to reflectors using the DExtra, DCS, and D-Plus protocols, as well as callsign and repeater routing via ircDDB and/or CCS. In addition the official STARnet Digital server is distributed with the gateway package, either as a standalone program or as a part of the gateway. Linking and unlinking commands may be issued via the standard UR call setting on the radio, or via DTMF commands. One of the things that distinguishes this software from other similar offerings is the ease of configuration. The program can be run as either a GUI or text based program, with the configuration being done in the GUI version. A basic system can be made operational by only filling in three configuration tabs. As well as allowing audio to be routed, the gateway also includes an APRS interface so that D-Star radios with GPS-A or GPS mode enabled, can have their location sent to the APRS network. The location of the repeater(s) is also sent to the APRS network. In addition it is possible to connect the D-RATS program to the gateway to allow users of D-RATS on their D-Star radios to access all of the features of D-RATS including chat and e-mail. A DVAP is a small Amateur Radio transceiver (2M VHF and 70cm UHF) with integrated USB connection for a computer. If you have a computer with access to the internet, you have access to the international World of Amateur Radio. However the DVAPTools software that is available for the DVAP limits your access to the DPlus enabled Reflectors only. Since the creation of this device the DStar Amateur Radio World has moved on, now we have xReflectors, DCS and CCS reflectors. The advent of the Raspberry Pi computer, could not have come at a more opportune moment for Amateur Radio, and Digital Radio in particular. 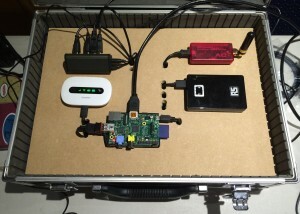 There are a lot of folk out there doing a lot of good work with the Pi, Raspberry Pi, with Raspbian Linux, and DL5DI implementation of of IRCDDBGateway and the DVRPTRrepeater. DVAP and Raspberry Pi “How to” by Graham G1RNZ. The Raspberry pi makes a good companion to a DVAP because it is small in size and does not consume very much power and therefore can be left on 24/7. This is not really a long term solution, it is really aimed at those armed with a DVAP to get a very low power (aren’t they all) simplex gateway up and running quickly. It also means that when you setup a long term solution, you won’t have to change the ircddbgateway settings. For a configuration letting others use your gateway you will need an NOV usually an MB6 call sign, and you will need to have registered your NOV call sign with the ircddb or G2 networks. The project is an interesting insite to the digital Dstar network and allows experimentation not afforded by any other Amateur digital network.